Backflow prevention is a crucial part of fire protection and your company’s safety. Backflow prevention ensures your building’s water remains pure, while preventing the risk of cross-contamination. Backflow occurs when contaminated water flows in the opposite direction in a cross-contamination system. A cross-contamination system is the system that connects water from a clean public water supply to a polluted or contaminated water source. An example of a cross-contamination system is when domestic water, fire, irrigation, boiler, or chilled water systems connect with either public or consumer water systems. Water in a cross-contamination system is generally maintained at a certain pressure in order to enable the flow of water from the tap, shower, fixture, or other source. If the water pressure fails or it’s reduced, it may allow contaminated water from the soil or other sources to be drawn up into the system. This leads to the contamination of the clean, potable water. In order to prevent backflow contamination, a backflow prevention valve can be installed. This specialized backflow prevention valve can be installed into the plumbing system, where there is a risk of contaminated fluids entering the potable water pipes. Another option when dealing with backflow prevention is installing an air gap. An air gap is installed when there is a physical vertical space connecting the plumbing system to a contaminated water source. However, if there is not enough room for an air gap then the prevention valve is the best option. Why Do I Need Backflow Prevention? 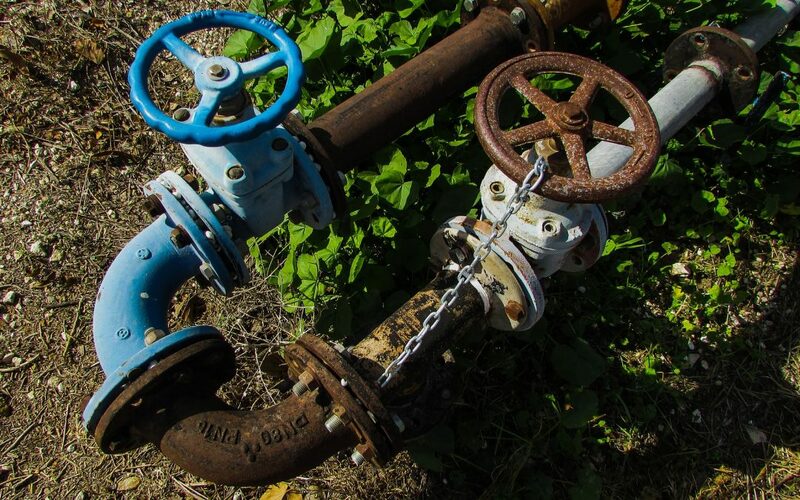 According to Denver Water’s article on backflow prevention, all commercial, industrial, domestic, irrigation, and fire line services are required to have an approved backflow prevention assembly installed. The reason backflow prevention is important when it comes to fire safety is because any water used to fight fires, such as a fire sprinkler system, needs to be potable. These prevention systems are a crucial part to preservation of clean water and preventing a health risk. Without the installation of the device, the lives of those who drink from or use the system are at risk. There has even been a case of an entire town’s water source being contaminated due to the lack of a backflow prevention system. Because these valves use moving parts, they require periodic inspections and backflow testing on a regular basis. The installation, inspection, and repair of backflow prevention systems should be conducted by certified professionals. Frontier Fire Protection offers a variety of backflow services including backflow installations, inspections, and repairs. If you’re in need of backflow services today, don’t hesitate to give us a call! We would be happy to come out to your building and ensure your water remains pure and potable.